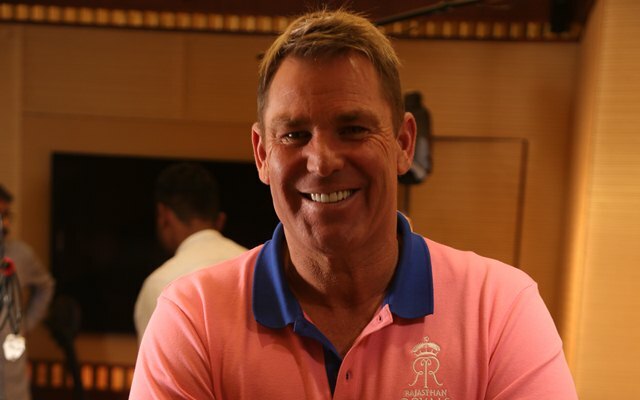 "I am deeply touched to be part of such a noble initiative,"- Warne. A unique hands-on exhibit and lecture series about the brain mental health namely ‘Innovations in Mental Health Care & Exploring Brain and Mental Health’ is being organised in Mumbai from 9th-17th February 2019 by Dr. N.S. Vahia Foundation in association with McLean (Harvard Medical School Affiliate). The main focus of the event is improving the mental health conditions in India and on a global scale by educating the masses on the subject. A number of speakers will address the attendees on subjects including yoga in mental health, innovations in child psychiatry, drug therapy and beyond and digital psychiatry. Among other attendees, our Royal Brand Ambassador Shane Warne, along with our Executive Chairman Ranjit Barthakur and Forest Secretary for the Government of Maharashtra Mr. Praveen Pardeshi, inaugurated the event today. Rajasthan Royals as a franchise has always been in the forefront of bringing about a social change. Last year, they launched a state wide ‘Cancer Out’ campaign that emphasised upon cancer screening and early detection for women in the state of Rajasthan. This initiative was to prevent untimely deaths caused by cancer in the state and to educate the youngsters to encourage their family members especially women to undergo the screening. 10 screening centres across the state were activated for the people to get themselves screened. The franchise looks forward to continue its ‘Cancer Out’ campaign helping to detect early signs of cervical and breast cancer in women. It is also focusing upon women empowerment which in turn will result in child empowerment. A women’s health condition is of utmost importance for a family to function as she is the pillar of her family.